Recent statistics show that in 2013, 701 pedestrians and 141 bicyclists were killed on California roads. This number accounts for more than 28% of all traffic fatalities. In an effort to combat these escalating numbers, the San Francisco Police department has stepped up their efforts in ticketing pedestrians, cyclists and drivers who violate traffic laws. They will be paying special attention to drivers making illegal turns, speeding, failing to stop at traffic lights and stop signs, and failing to yield to pedestrians in a crosswalk. Bikers will be subject to the same traffic laws that apply to motorists. In addition, pedestrians are urged to cross the street only in marked cross walks. Pedestrians will also be cited for violations when they cross the street illegally or fail to yield to drivers who have the right of way. A recent pedestrian fatality occurred this month in San Francisco, the first of 2017, involving a pickup truck towing a trailer. The driver was unaware that he had hit someone; the driver’s visibility is believed to be the cause of the accident. The front of the truck appeared to have been raised, suggesting that the alteration would have made it more difficult for the driver to see a pedestrian or cyclist. Car and truck modifications such as tinted windows and raised suspensions may present a serious hazard to cyclists, pedestrians and motorists alike. These concerns have raised the question as to whether San Francisco should limit or restrict modified or over-sized vehicles in response to the continually rising rate of pedestrian fatalities. 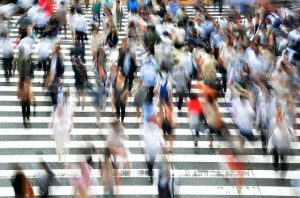 If you have been seriously injured in a pedestrian accident, or have lost a loved one in this way, a veteran LA pedestrian accident lawyer at Ellis Law is ready to discuss your case and provide a free and comprehensive evaluation of your legal rights. In California, there are strict time limits for taking legal action in a personal injury claim, so don’t delay in setting up a case review with one of our legal professionals, call 310-641-3335.